Looking to expand your business? Build on the foundation you already have. Creating original and challenging routines outside of your normal class ow is simply a matter of introducing props and light equipment to your classes. Students and Instructors will both enjoy the change of pace and added challenge. Adding props and light equipment to a standard Pilates Mat class can accomplish more than you might think. 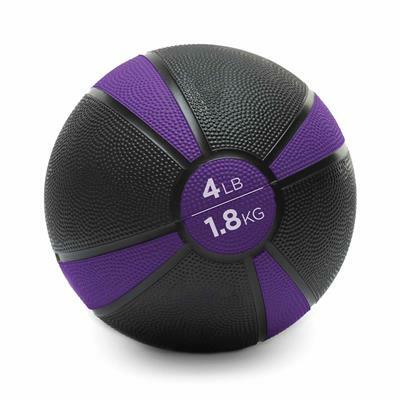 Props can be anything from Flex-Bands® to light handweights, medicine balls to resistance tubing, or any size ball from handheld balls to 75cm Stability Balls™. Incorporating these props in a Matwork routine can move the focus from the core to the periphery, such as arms and legs, and bring greater awareness to stability in the body. 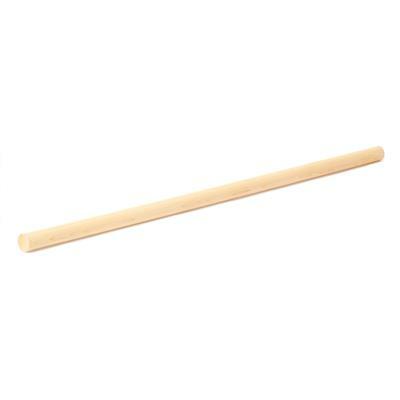 Props are also great for working on balance, strength and increased muscular endurance. By adding variety to classes, you’ll stave off boredom and keep students engaged as they learn to manage the new tools and exercises. Most of the props carry smaller price tags than larger equipment and take up less storage space. The majority of them can also be used in other classes and sessions like circuit training, group exercise, HIIT classes and even personal training. Small props don’t have to be reserved for Mat Classes. Many props can be used in conjunction with the Reformer as well. Use the Fitness Circle®, Toning Balls™ or Maple Pole to change the focus of many Reformer exercises or increase the intensity of simple moves. Here are some great ideas for Mat and Reformer workouts with props to try in your classes. Have fun! Use: Rest the middle back on the Mini Stability Ball in a semi-reclined position. With the hands behind the head, allow the upper body to extend back over the ball, then engage the abdominals and pull the head and shoulders forward in an abdominal curl. Extending back over the ball will require the abdominals to work through a greater range. Use: In a seated position, hold the Medicine Ball in both hands, curve the lower back down toward the oor and lift the feet with the knees bent. Hold this position and tap the medicine ball on the oor on each side of the body. The twisting movement with the added weight will help strengthen and tone both the internal and external obliques and work the arms and upper body. Use: While lying on the back, place the centre of the Flex-Band at against the bottoms of the feet and hold the ends in each hand. Knees can be bent or straight. Curl the upper body off the Mat until balanced just back of the sit-bones. Use the Flex-Band to help roll up off the Mat and work the legs a little more. Use: Hold a Toning Ball in each hand during the Footwork variations. At the start of each variation, change the arm movements. Alternate between biceps curls, triceps presses, chest presses, pec flies or arm circles. Adding the upper body challenge will also bump up the coordination requirements in this simple exercise. Use: While kneeling on the Reformer facing the side, slide the Maple Pole through one Reformer Loop. Place one hand above the Loop and the other below. Start with the torso rotated toward the pulleys and the arms reaching out in front. Rotate the torso toward the footbar, keeping the pole in the same relationship to the body. Return with control. The pole helps focus the rotation on the thoracic area of the spine and helps maintain better stability of the arms and shoulders. Use: Place a Fitness Circle between the ankles once the feet are in the straps. As the legs are extended, squeeze the Circle to increase the adductor (inner thigh) challenge. As a variation, place the Circle on the outside of the ankles to work the abductors (outer thighs).